Sled Systems are ideal for use on uneven terrain or areas that can’t accommodate wheeled vehicles. 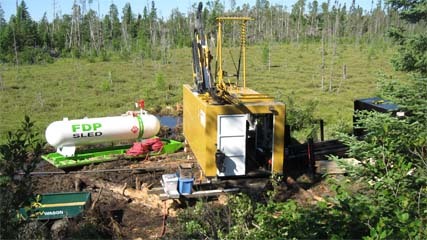 Temporary and portable – great for construction sites, swamps, bogs, snow, ice and mud. In areas where the environment is not always conducive to normally used tank systems, our Sled provides supreme maneuverability. Our Sled Systems are built per customer specifications. Bogs and swamps, snow and ice – the Sled slides nice!